'THE LAZARUS CONTRACT' part two! 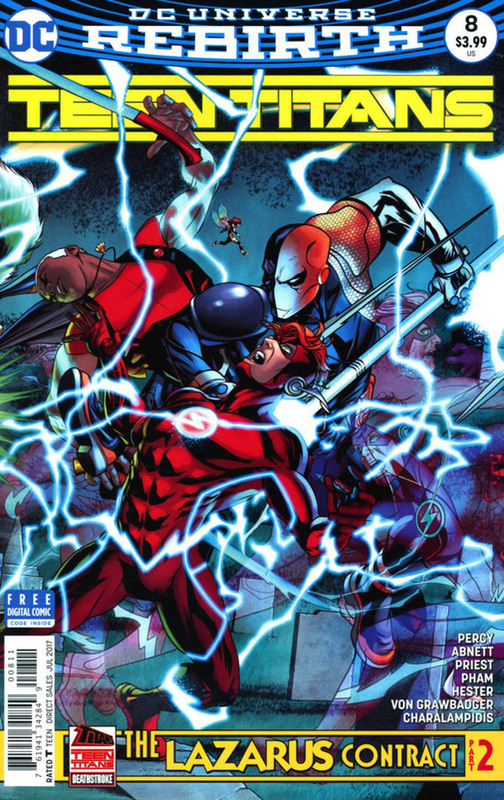 The Teen Titans collide with the Titans after both groups are targeted by the World's Deadliest Assassin-Deathstroke! But when Robin interrogates Nightwing about his history with Deathstroke, dark secrets are revealed and alliances are broken! RATED T Includes a code for a free digital download of this issue.